At last, it looks as if the final part of this great jigsaw is about to fall into place. Stowe was a garden that always irritated and disappointed me. Undoubtedly it has the finest collection of 18th century temples, follies, and grottoes of any country house – over 40 Grade 1 listed monuments, some spectacularly large, which when viewed in isolation are wonderful. That is reason enough for visiting, but the parts made a disjointed whole, and added to that is the hugely insensitive golf course set in front of one of our grandest houses. So why am I writing about it? In 2012, everything changed. The problem Stowe used to have was that the public were given entry under sufferance; a disconnected car park at the far side of the house providing an entrance at the wrong end of the garden. 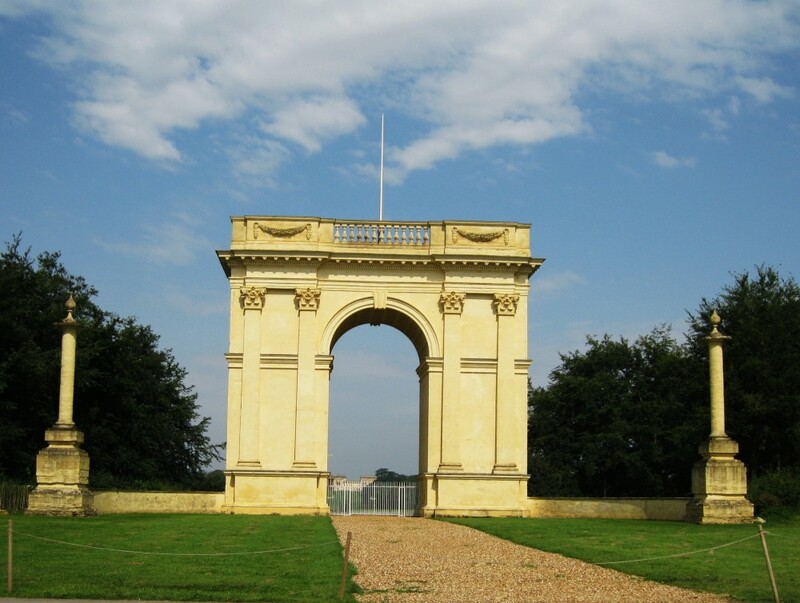 The National Trust has now resolved one of the big problems of Stowe and entry is now made through the Bell Gate, a route visitors would have taken in the 18th century, and the layout is at last as it was meant to be. The approach to Stowe, is by the long ascending tree-lined avenue from Buckingham. Anticipation builds to the impressive Corinthian Arch, set on the brow of a hill, and upon reaching it a startling and spectacular view opens up, for beyond across a broad valley spreads the vast Palladian house with a tranquil serpentine lake in the foreground. A piece of breath-taking garden theatre that I find as exciting as the first time I visited Stowe. Adjacent to the Corinthian Arch is the new visitor centre, car parks and cafe at the restored 18th century coaching inn, just a short walk from the Bell Gate. Once through the gate, the visitor chooses either the allegorical Path of Virtue or the Path of Vice. To us, this seems a strange idea. Stowe is meant to be read as both a moral and a political statement, and without the classic compass of Greek and Roman mythology, and an understanding of 18th century Whig politics, we are all at sea. This is where the National Trust’s thoughtful guide book is indispensible, and for once I had the good sense to buy one before visiting the garden. There is a further path – the Path of Liberty. The theme here is the origins of English political liberty in Ancient Greece and Anglo-Saxon England. (a sketchy and selective view of the past). 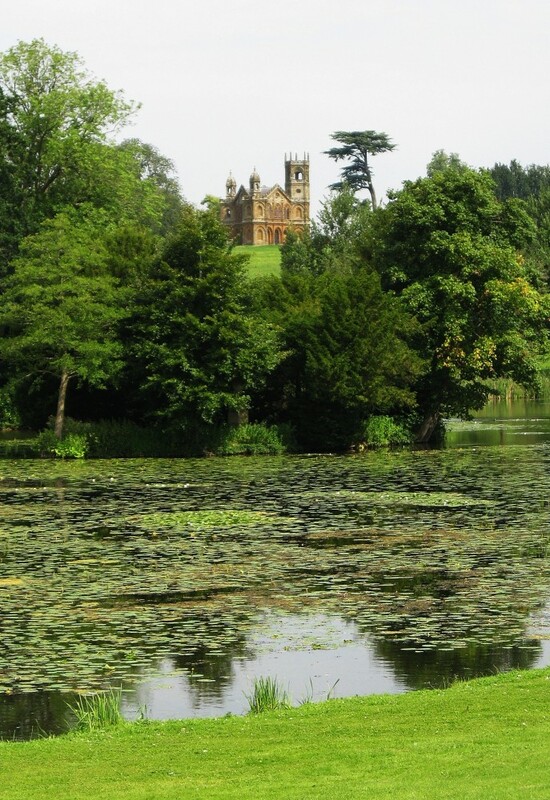 On this walk are Stowe’s most iconic buildings, including the huge, superb Temple of Concord and Victory (birth place of liberty), the Gothic Temple (liberty revived) and the famous covered Palladian Bridge (safe shelter). Like Stowe’s Temple of Worthies, these were meant as a savage political broadside against the corrupt Whig government of Robert Walpole. Stowe, under its owner Richard Temple, Viscount Cobham, had become a hotbed of government opposition, and the landscape garden a political statement. It is a remarkable testament to the fluidity of the English social system that 16th century sheep farmers could rise in six generations, by marrying heiresses and following their political convictions, to become one of the richest and most powerful families in the country. Viscount Cobham, and his nephew, Earl Temple were the restless driving forces behind Stowe. 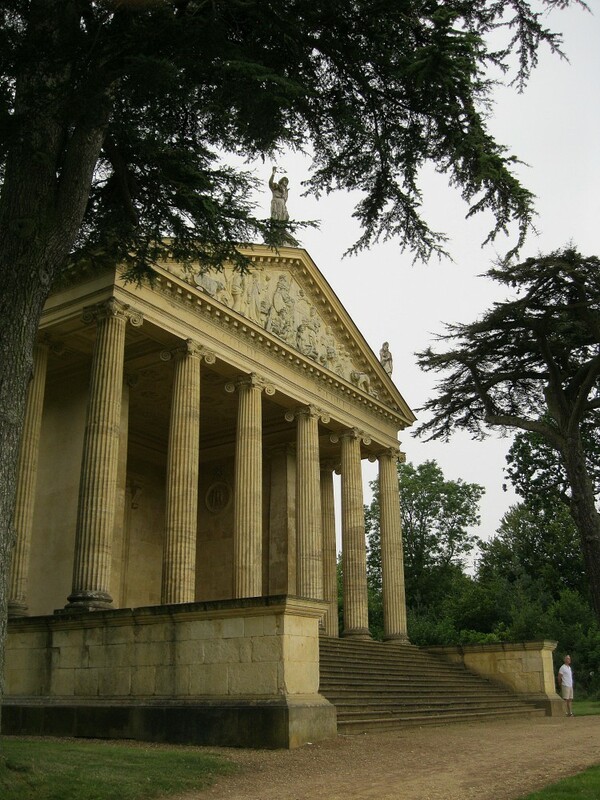 They threw vast sums of money at the garden, employing the leading designers of the day in rapid succession – Vanbrugh, Gibbs, Bridgeman, Kent and Capability Brown, and this is one of Stowe’s shortcomings. 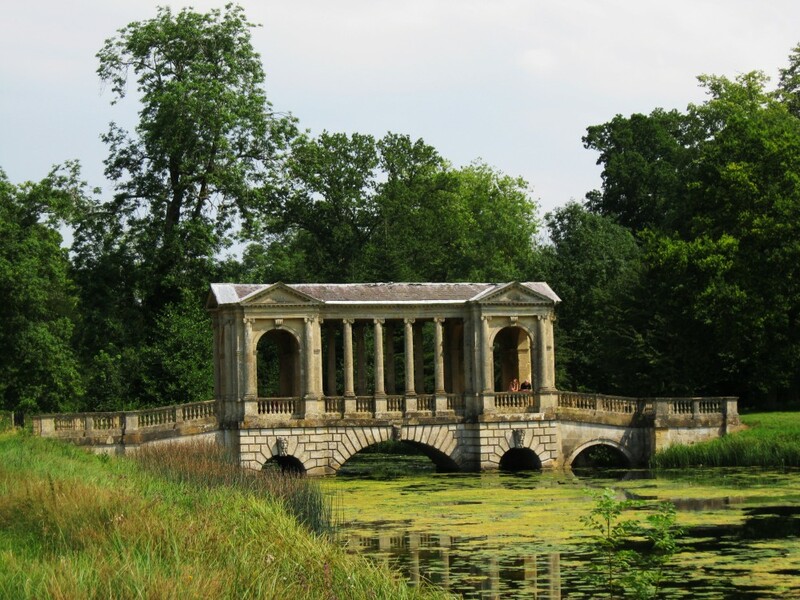 The English Landscape Garden style was evolving and so at Stowe, temples were constantly being built, taken down, renamed and relocated; trees planted, cut down or moved; valleys dug then modified, and the lake enlarged from an octagon to its present-day serpentine form. The predominantly classical garden features lack continuity, unlike for instance, at Stourhead, and some seem stranded and abandoned in grassy, irrelevant time-warps. 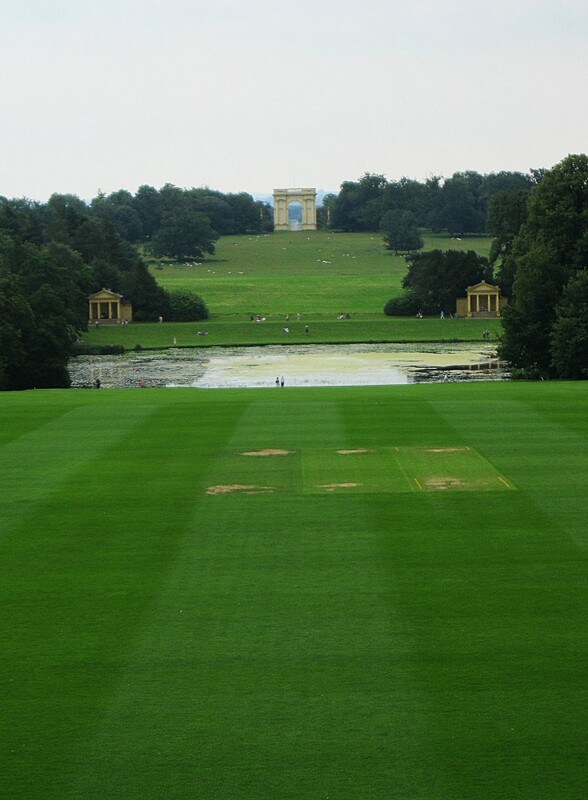 I think this is because Stowe’s suffers from multiple viewpoints; reaching one temple, or garden feature, another three or four tempting choices open up in the landscape. Where to go? Will it short-circuit the allegorical tale the garden is trying to tell? Other great gardens of the period have a well-defined theatrical sequence of one feature leading to the next. By 1848 with the family fortune blown away on extravagant living, Cobham’s successor, the 2nd Duke of Buckingham, was declared bankrupt. The final straw, following the First World War was death duties, when house and garden was sold. 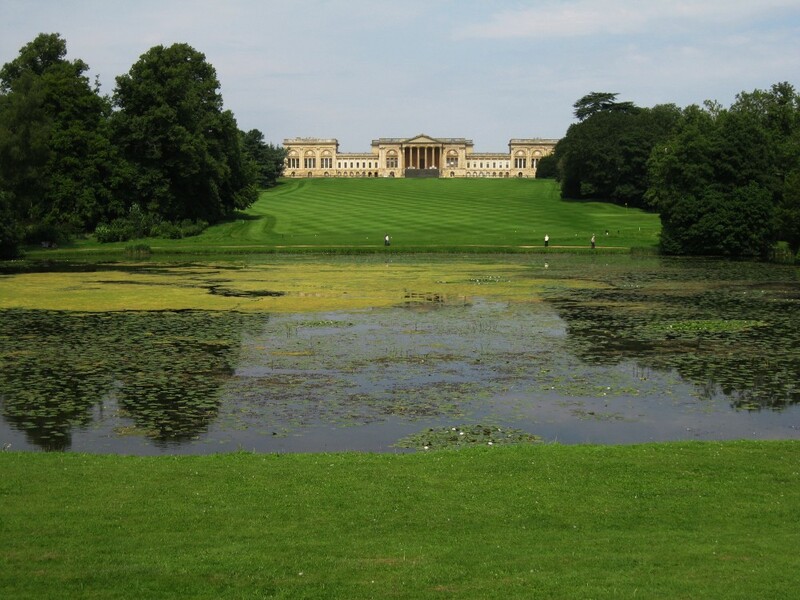 For 60 years the new owners, Stowe School, made a valiant attempt to check the decline of both house and landscape garden, but by the late 1980s were overwhelmed, and donated the gardens to the National Trust. By this time, many of the temples were in scaffolding to prevent total collapse, and other features in such a perilous state that the World Monuments Fund placed Stowe on its List of Most Endangered Sites. 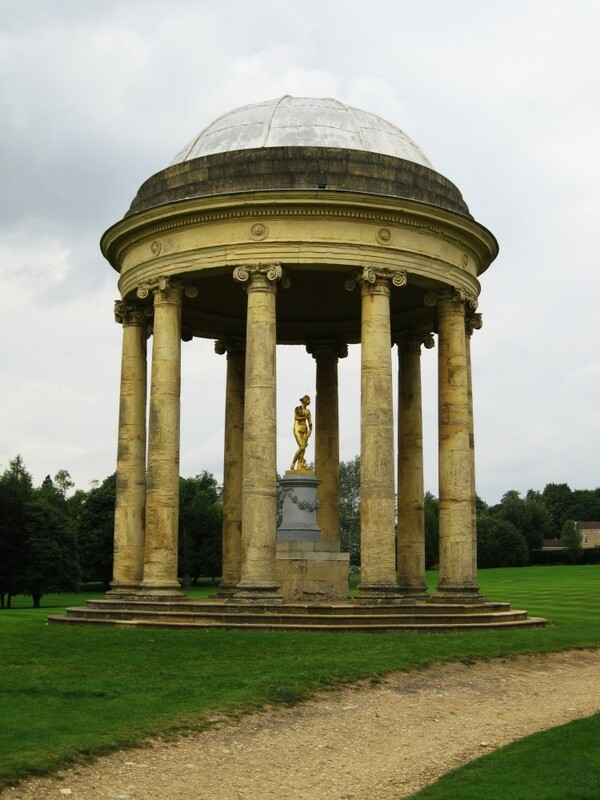 In the mid-18th century Stowe was considered to be the English answer to Versailles (freedom and liberty versus autocracy); and such is its national importance, that a huge fund-raising campaign was launched with a target of £20 million. 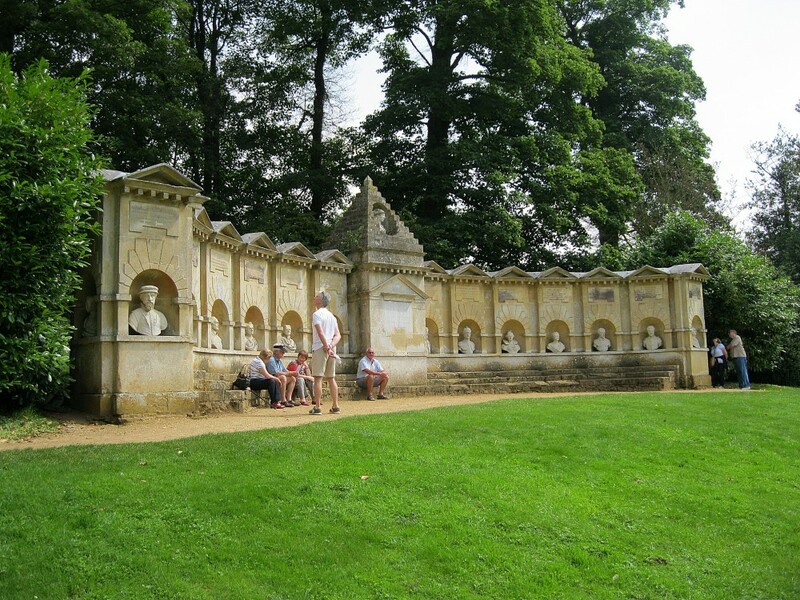 Private and public donations and grants from the Heritage Lottery Fund made this possible, and the National Trust started a 20 year reconstruction of the garden, completed in 2012. The task was enormous; for example 320,000 tons of silt was dredged from the lakes, and £1.3 million spent on restoring one building alone, the Temple of Concord and Victory. The latest development, which I find really exciting, is that Stowe School and the National Trust have agreed to ’an exchange of assets’. The horrid little golf course would be passed to the National Trust, and removed from the landscape in front of the house, whilst the school would gain Home Farm as the site for a new golf course. Hopefully a handful of protesting nimbies won’t find a way to thwart the enjoyment of the 140,000 visitors Stowe receives each year, let alone the danger they face from errant golf balls. Stowe is the corpse that revived, and the most magnificently extravagant example of The English Landscape tradition; now at last made understandable by a great and lucid guide book. My criticisms have been largely assuaged, and I am completely won over.